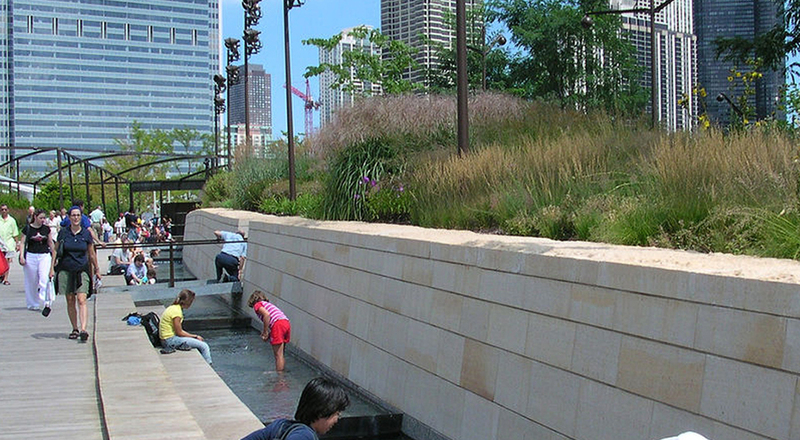 TGDA was the coordinating Landscape Architect for this urban garden located within Millennium Park. 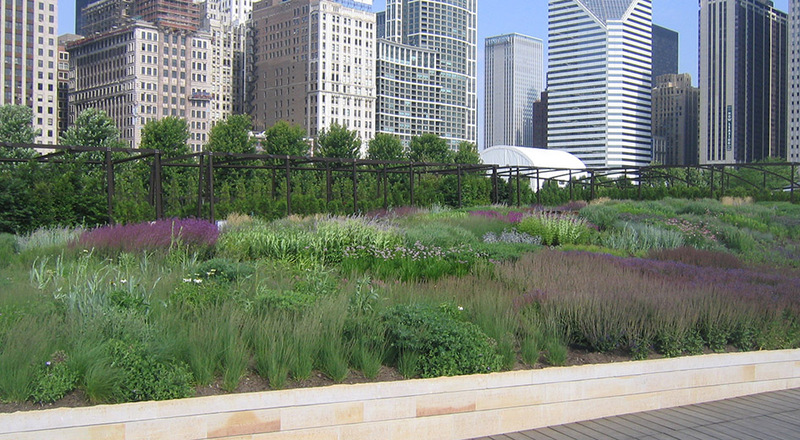 The Lurie Garden, designed by Gustafson Guthrie Nichol, is a 3 acre green roof garden. 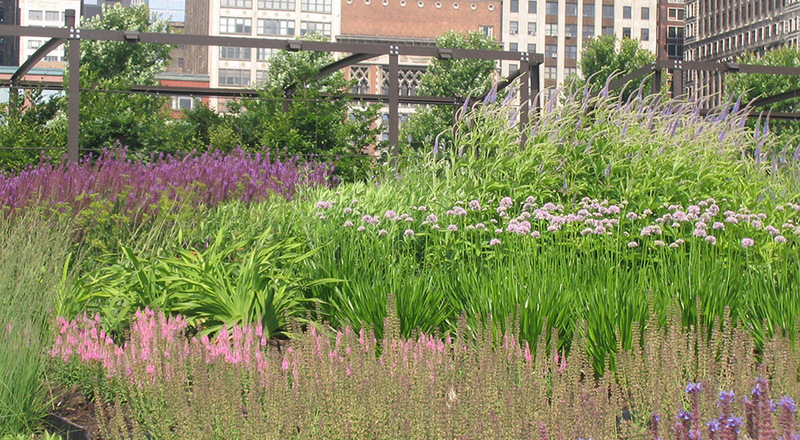 Piet Oudolf, renowned worldwide for his imaginative gardens, designed the perennial planting of approximately 35,000 sf. 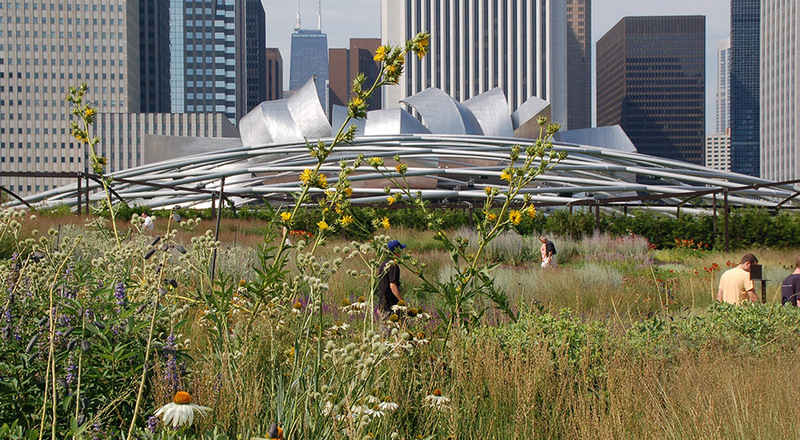 Focused upon a design that brings the natural world back into human habitats, Piet Oudolf assisted by TGDA, aimed for a sustainable planting design that showcases the plants seasonal interests throughout year. 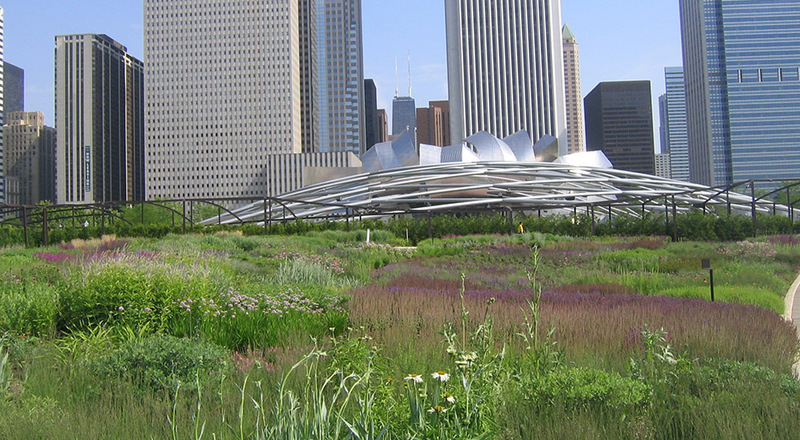 65% of the selected plant species are native to the Chicago region and grow well in tough urban conditions. 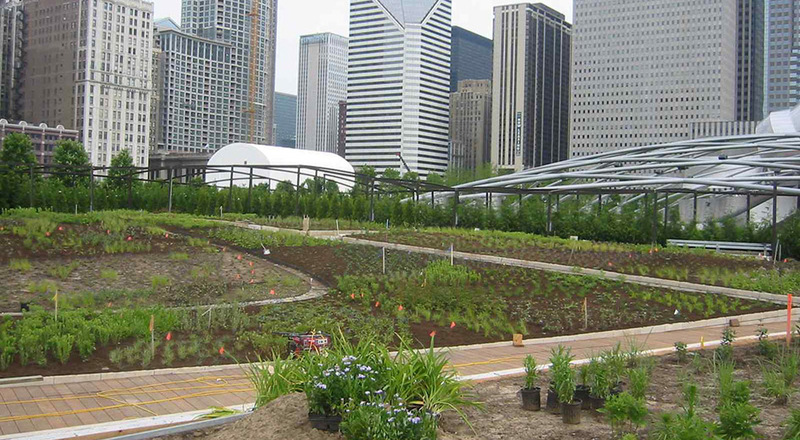 Lurie Garden is divided into two contrasting, bulging “plates” labeled the Light Plate and the Dark Plate. The Dark Plate, referencing the moist, mysterious past of the site, offers an experience of immersion in a volume of robustly textured plants. 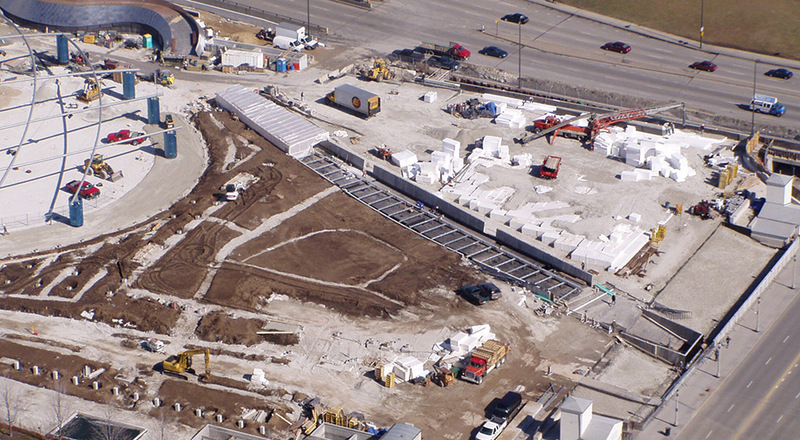 The Light Plate, referencing Chicago’s modern and artistic control of nature, provides an exhilarating experience of surveying a bright and clean, controlled landscape. TGDA advised in final woody plant selection, and assisted Piet Oudolf in plant layout and installation.